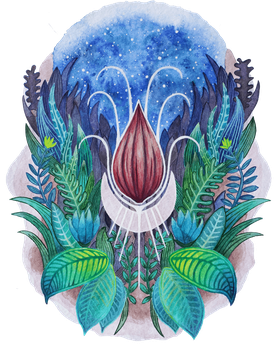 Cacao Guardian is an invitation from Mama Cacao herself, who as a mediator of the worlds wants to speak to you, to invite you to immerse yourself in her teachings and to see life, the rhythms and laws of Nature through the lens of her cosmic intelligence. 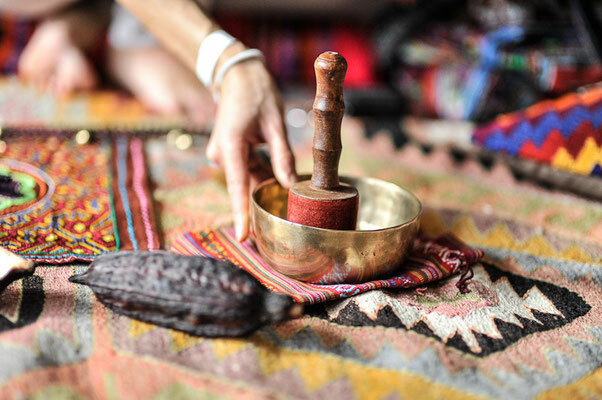 In this 4-day initiation ritual, experience the power and wisdom of Cacao and how the Rainbow Medicine acts with purpose, with the aim of touching you at your core, and unfolding in gentle, yet powerful waves into your reality. Let yourself be guided as you begin creating a powerful heart center for yourself and others. The Maya verb chokola'j means ”to drink chocolate together”. The Maya and Aztecs revered Cacao as a sacred plant and offered it in shamanic, ceremonial and religious contexts. For many years, these sacred attributes of chocolate have been veiled. 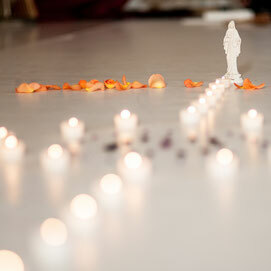 Now Cacao enters our reality with a whole new power - a Cacao Ceremony. Offerings us in these troubled times, a warm center in which we, beyond cultural, religious and political agenda, can experience ourselves as children of this Earth again. 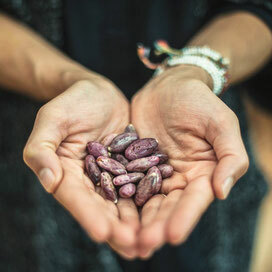 People around the world gather around Cacao to remember, to connect, and to find their way back to their roots and through them back to their Earth Tribes. 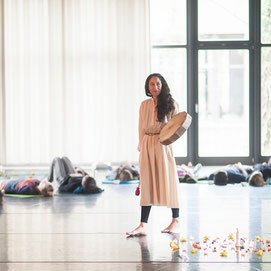 In a ceremony, we connect with ancient, sacred rites to express our belonging to nature, we create a shared heartbeat, to serve all life and to find balance between taking and giving. 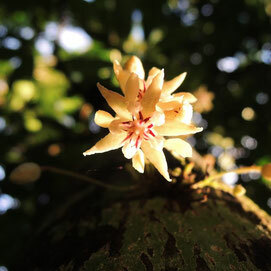 Described as a Rainbow Medicine and Medicine of the Soul, the Spirit of Cacao is a mediator between the worlds. Deeply at home with the Shamans of the Earth, its consciousness extends to the stars and into the cosmos to transmit wisdom along the Tree of Life and constantly guide the balance. 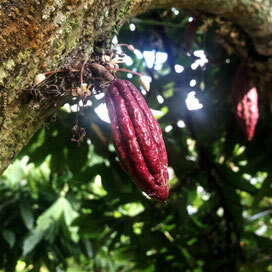 Cacao offers us a powerful centering force in which the power of transformation is already applied. Cacao Guardian is an expression of deep love and respect for the wisdom of the master and teacher plants, the cosmic intelligence of Cacao, the teachings of indigenous peoples, the knowledge of Mother Nature and the infinite power that surrounds and flows through us. Cacao Guardian is an invitation from Mama Cacao herself, who as a mediator of the worlds wants to speak to you, to invite you to immerse yourself in her teachings and to look at life, the rhythms of nature and the laws of life through the lens of her cosmic intelligence. For the Great Mother calls upon her guardians, speakers, dreamers and healers to overcome their sense of separation, to once again understand themselves as part of the cosmic matrix and to speak up for life. We hold the keys to this transition in our hearts. In this 4-day initiation ritual, experience the power and wisdom of Cacao and how the Rainbow Medicine acts with purpose, with the aim of touching you at the core, and unfolding in gentle, yet powerful waves into your reality. Let yourself be guided as you begin creating a powerful heart center for yourself and others. 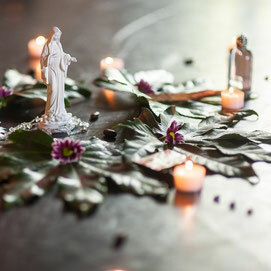 Together we will prepare the Cacao Ceremony, set up the sacred space, activate the Cacao with songs, prayers and good intentions, to then receive a communion with the sacred teacher plant Cacao in an initiation ceremony. I’m Serap, a traveller, Earth speaker, healer, student of the inner gold path and guardian of the Cacao Spirit. My love for plants was initiated by a spiritual encounter with the Spirit of Cacao in 2011, which led me onto the path of sacred plant studies. This was followed by an intense study of global resources, energetic healing and Earth inspired wisdom from across many cultures. My medicine heart beats in rhythm with Mother Earth. I love to create finely tuned healing experiences in order to assist people in aligning with their inner gold. Since founding the Cacao Mama Earth School, I became a student, learning from plants, trees and nature spirits and sharing my insights in ritualistic learning experiences. The Earth School is about harvesting the messages found in the soul of nature, cultivating wisdom together and offering our voice to speak up for the preciousness of life. You shouldn’t work with ceremonial doses of Cacao if you are taking antidepressants or have a serious heart condition. Ceremonial doses of Cacao are also not recommended in cases of high blood pressure or epilepsy. plus The Sacred Cacao Ceremony workbook & Cacao Mama Certificate. The seminar will take place in the beautiful yoga studio RE:TREAT Vienna. 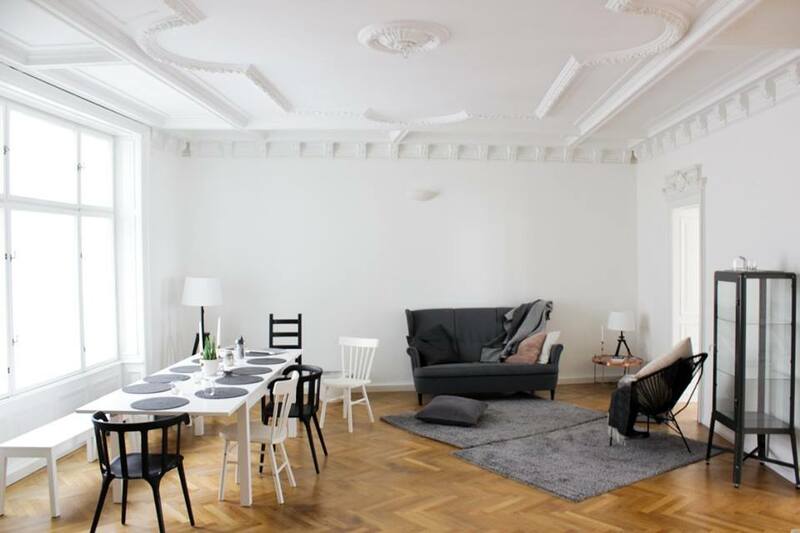 RE:TREAT is located in the center of Vienna, district 6/7. A nice range of hotels & private accommodations can be found in the district itself and in the surrounding areas. Public Transport from Vienna Airport is easy and takes around 30 min to Vienna main station (Hauptbahnhof). EUR 3,50 one way if you choose public transport, around EUR 25-30 if you choose a cab. "Her teachings come from the heart and she is clearly passionate by what she does. Days are shared between a bit of theory and practice with shamanic tools that guide us deeply into the ceremonies and ourselves. Everything flows smoothly. Her love for cacao is palpable and she gives so much. I felt and feel blessed to have met a teacher who l resonate so much with. I left the training feeling inspired, empowered and glad to have met many spirited women also. Her cacao is also the best I have so far found on the market...both for personal use and ceremonial settings. I can't wait to share the Balinese one in my next circle!" 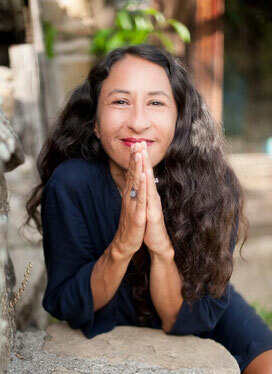 "I'm very grateful to you Serap for being such a clear and detached messenger of this powerful medicine...for really be able to transmit the essence of things and allow the creativity of each and every one to express and find its own unique way. 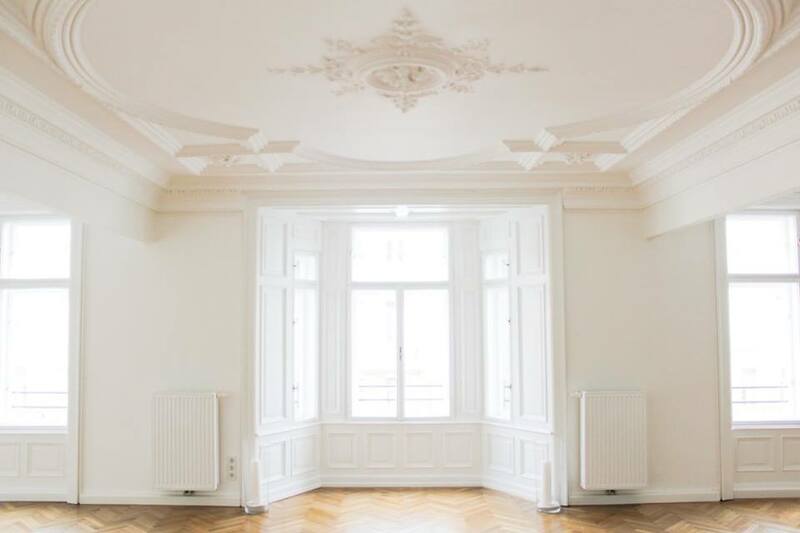 Your workshop is deep and very far from all the commercial facade." "The training felt totally comprehensive and it was held in such a wonderful container. I learnt so much about all of the aspects of Cacao and how to work with it in my personal practice and sharing it with others. I loved all of the aspects: class size, programme, information, rituals, ceremonies and sharing lunch. I'm so grateful that I was able to partake in this course and share space with a room full of incredible women. I've learnt so much and have come away feeling really centred and clear in how I want to move forward with my everyday life. I've only drank cacao once since returning home and it was so beautiful to feel confident in using this medicine ceremonially." 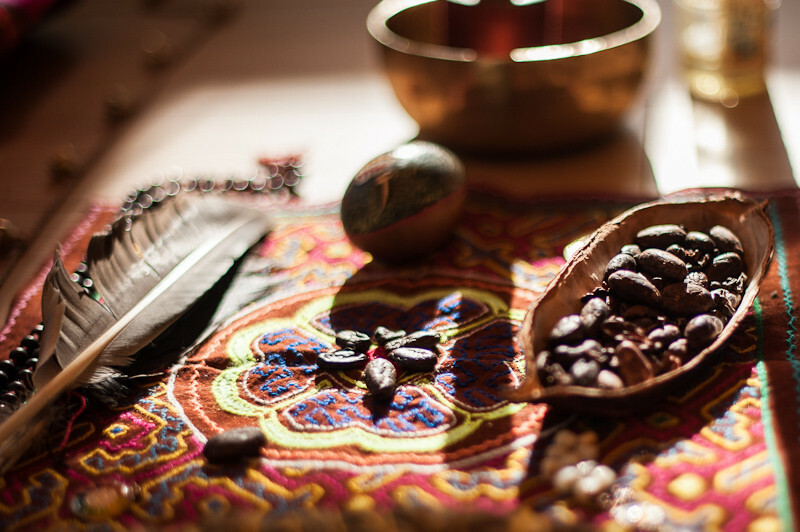 "It has been a true privilege to enjoy Seraps openings into this sacred practice and her deep heartfelt connection to Cacao Spirit - an adventurous, delightful and truly beautiful experience." 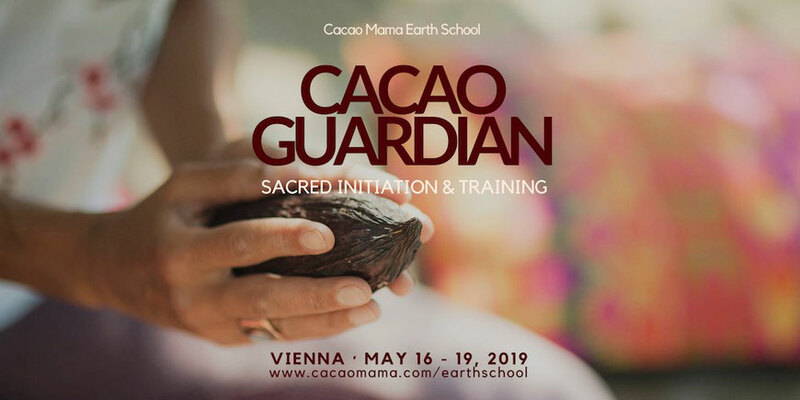 I hereby register for Cacao Guardian · Initiation & Training from 16th - 19th May 2019 in Vienna and accept that my registration is binding. Are you a teacher or facilitator of workshops already? If yes, what's your field of expertise? Share with me: What is your motivation or inspiration for undertaking this training? With the submission of this registration form, you receive a confirmation within 1-2 days that a place is reserved for you. With the transfer of the tuition fee, your participation is confirmed as obliging and the place is firmly booked for you. In case of cancellation, I reserve the right to retain a processing fee of EUR 50,00. In the case of a cancellation 4 to 3 weeks before the start of the event, 50% of the tuition fee has to be paid, from 3 weeks before the start of the seminar 100%. Decisive is the date of receipt of the withdrawal declaration via email. You have the possibility to name a substitute participant. This is an educational event. 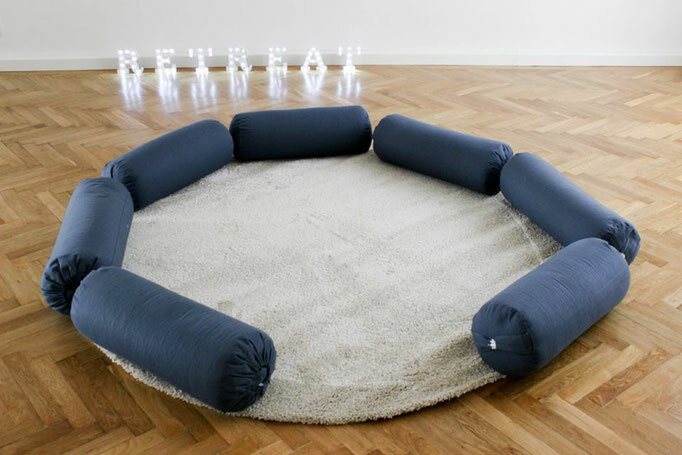 The nature of the work is such as to include deep personal processes of an introspective and meditative kind. 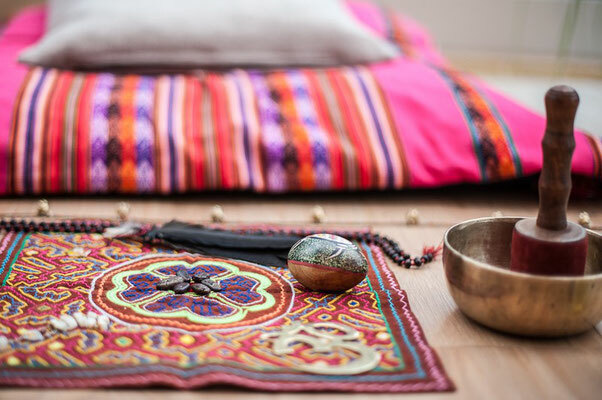 Participants are responsible for taking care of their own processes and their own wellbeing at all times, as this training is not intended as a therapeutic space of any kind. The participation, including the arrival and departure, are at participant's sole risk. The instructor is not liable for damages of a spiritual, physical, psychological or material kind. For further communication, please add happy@cacaomama.com to your address book. If you wish to be informed about upcoming workshops, retreats and activities, please sign in for our monthly newsletter.